Morro Bay has diverse wildlife and plant life in its estuary. 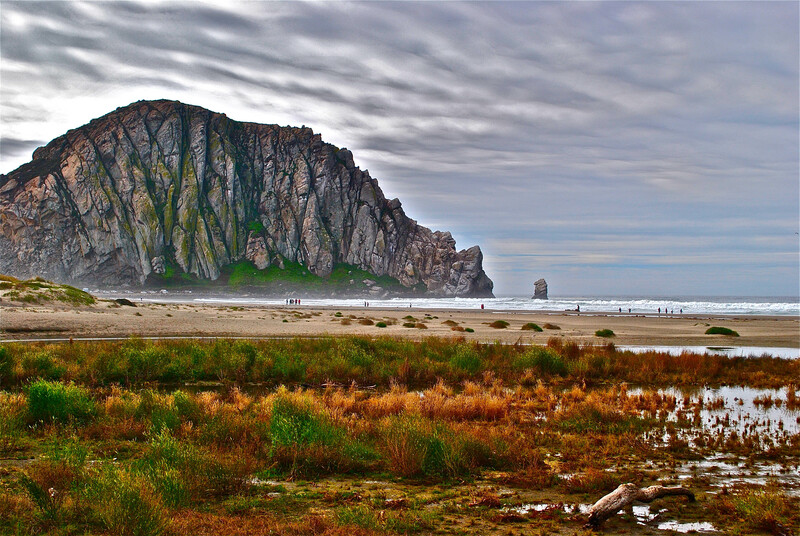 Pictured is the statuesque Morro Rock. The beginning of your drive. 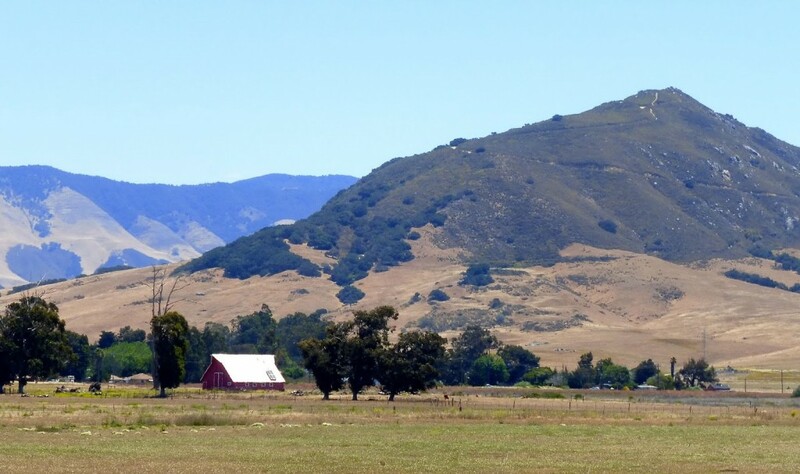 The rugged Los Osos Valley Road gives great views of Madonna Mountain and Bishop’s Peak. 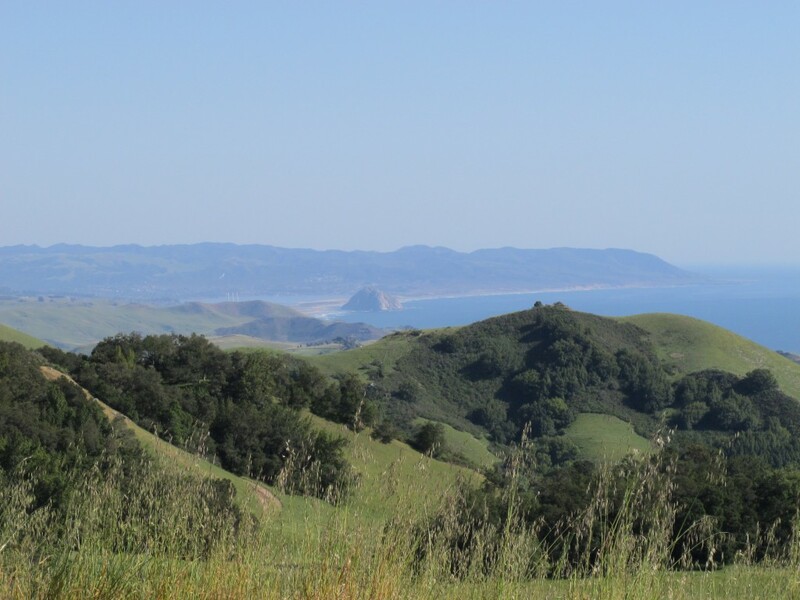 This beautiful drive gives you a chance to see the coastal areas north of San Luis Obispo. Drive out of San Luis Obispo on Los Osos Valley Road, pictured above. 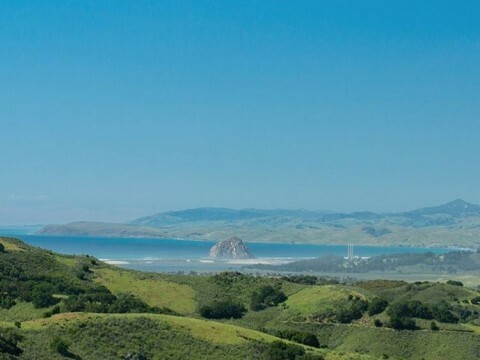 You’ll pass acres of farms and see several of the nine volcanic plugs that line the coast from San Luis Obispo to Morro Bay. After approximately seven miles, look for Turri Road and turn right. This will take you through cattle fields and then into a winding section near Los Osos Creek. Turri Road ends at South Bay Boulevard where the creek flows into the Morro Bay Estuary. Turn right and continue to the first left just over the low bridge. This is State Park Road and is the entrance to Morro Bay State Park. There’s plenty to do in the area once you’re there: rent kayaks around Morro Bay, go shopping, or explore the Morro Bay Estuary. This winding road takes the driver from San Luis Obispo to Avila Beach. It starts off Los Osos Valley Road near the Target and shopping plaza. Just keep driving through rolling hills, stopping off at the most scenic spots. 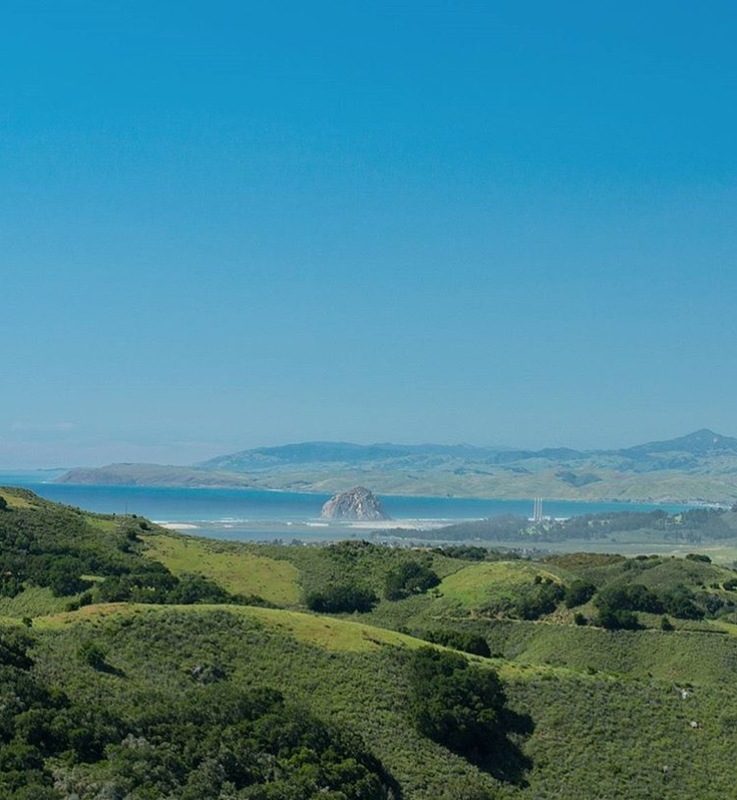 You’ll see panoramic views of the beautiful community, from Morro Bay to San Luis Obispo. The road turns into See Canyon Road, which you can follow until San Luis Bay Drive. Turn left to go back to the freeway, or right to travel to Avila Beach. The end of the road gives great coastal views near Cambria, after driving through rolling hills and vineyards. 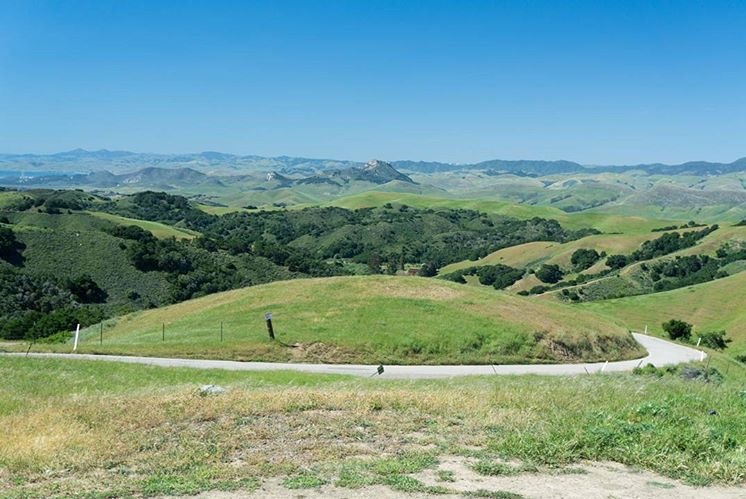 Highway 46 takes the driver from the tiny coastal town of Cambria to the rolling vineyards of Paso Robles. This long and leisurely drive through the countryside passes boutique wineries, old farmhouses, and fields of blooming wildflowers. For anyone who wants to experience the quieter and sparsely populated part of life on the Central Coast, this road is an excellent way to do so. To enter Highway 46, drive north from Pismo Beach or San Luis Obispo on US-101 N, and take exit 228 for CA-46 W toward Cambria/Hearst Castle. 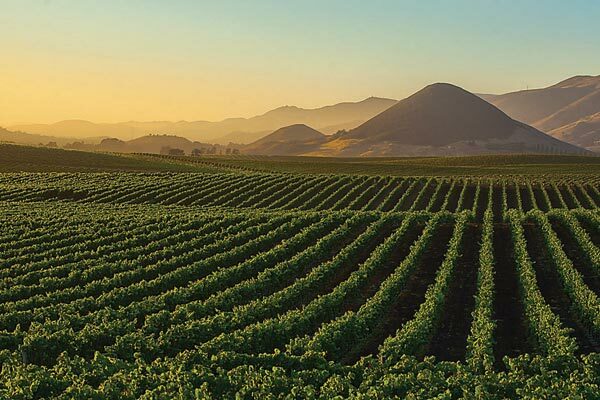 Orcutt Road is a great path to follow, especially because of the potential stop-offs: some of the best wineries in San Luis Obispo county. Passing by expansive vineyards in some classic California sunshine, it is an enjoyable and scenic ride. Start at the junction of Tank Farm Road and Orcutt Road in San Luis Obispo and stay on Orcutt heading south. Continue through the vineyards and farms. The first winery you will see is the Baileyana-Tangent Winery and Tasting Room, which is in a yellow historic one-room Independence Schoolhouse. Many more wineries will follow, so take your pick and enjoy the views. 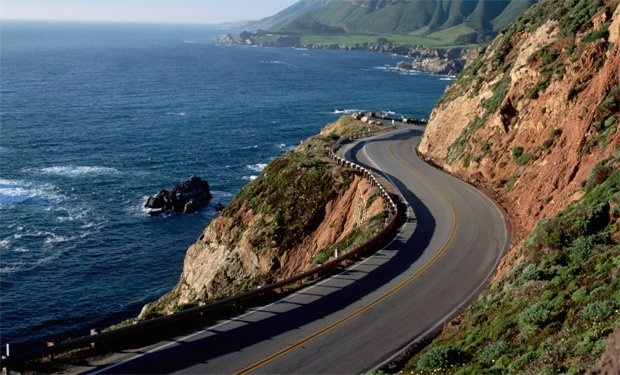 Highway 1 through Big Sur is one of the most stunning drives in the country. For the truly adventurous, driving North on Highway 1 is the only drive that will do. After leaving San Luis Obispo and driving past several coastal towns, the highway will take you past Hearst Castle and into Big Sur. The curves of the highway seem carved into the landscape itself, making you feel part of the rugged cliffs. Drive safely and be sure to use the convenient stop-offs to enjoy the view for all that it’s worth!